Rady Children’s is positioned to rapidly advance Kawasaki disease research, thanks to a visionary grant from the Gordon and Marilyn Macklin Foundation. Gifts to Rady Children’s Hospital for KD research will be matched, dollar-for-dollar, up to $2.5 million! Your gift to support Kawasaki Disease research will now go twice as far, thanks to the Macklin Foundation. Your gift will fund life-saving discoveries for children with Kawasaki disease. Thank you for being part of this important work. Kawasaki disease (KD) is a serious pediatric heart disease characterized by the inflammation of coronary arteries. It is the most common cause of acquired heart disease in children and an emerging health threat in the developing world. KD can lead to heart complications, heart attack, and even death. Despite decades of research, the cause of this confounding disease remains unknown. However, we believe that finding both cause and cure for Kawasaki disease is on the horizon. At Rady Children's Hospital, an international and interdisciplinary collaborative of researchers and industry leaders has come together at a critical juncture to solve the mystery of Kawasaki disease. 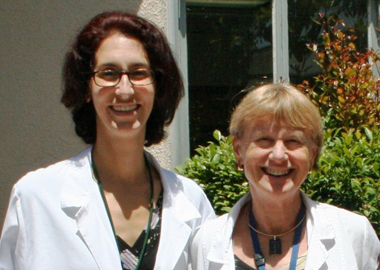 Our unique team is led by Jane C. Burns, M.D., Director of the Kawasaki Disease Research Center at UC San Diego and Rady Children’s Hospital. Dr. Burns is a world leader in KD research who has dedicated her career to studying the disease. For more information, please contact Amy Weeks, Senior Director of Philanthropy, at aweeks@rchsd.org or (858) 966-8116. 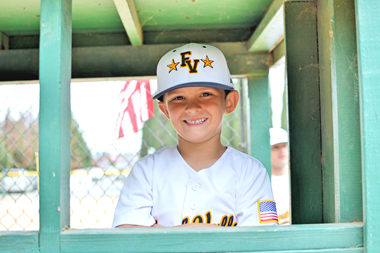 Six-year-old Dylan was an all-star baseball player, having the time of his life playing in a baseball tournament. His team, coached by Dylan’s dad, Mark, had just won their first game, but Dylan didn’t have the energy to participate in the celebration alongside his teammates. He also didn’t have any appetite, had severely chapped lips, and a fever of 102.3. After taking Tylenol and getting a good night’s sleep, Dylan was fever-free, had his appetite back and was even jumping on the family’s trampoline. Following another successful tournament day, he left the dugout with a fever of 102.1 and complaining that his leg hurt. The next morning, again, after Tylenol and rest, Dylan woke up ready to play the championship game that day. His team won the game and earned the baseball league their division’s first championship banner. While the rest of the team was jumping up and down, celebrating and taking photos, Dylan was unusually irritable. He opened the gate, walked off the field and vomited. Something wasn’t right. Dylan’s mom, Cecylia, is a registered nurse and wondered if he might have a virus. Overnight, though, his fever worsened, his eyes became bloodshot and he continued to vomit. When Dylan began complaining that it was hard to breathe, Cecylia took him to the local emergency room. The doctor thought that perhaps Dylan had appendicitis, but lab tests were inconclusive and Dylan was transported to Rady Children’s. At Rady Children’s emergency department, further tests proved inconclusive. The emergency room doctor noted Dylan’s bloodshot eyes, and reviewed his labs and scans again. She told Cecylia and Mark that she was concerned about Kawasaki disease, but Dylan’s current symptoms and lab results were not enough for a certain diagnosis. After 16 hours, the family was sent home with information on Kawasaki disease and instructions to follow up with Dylan’s primary doctor. That night, Dylan slept well, but continued to battle a 102 fever. The next morning, Cecylia noticed a rash on his thighs and chest, and took him straight to his primary care physician, who called Adriana Tremoulet, M.D., a physician at Rady Children’s Kawasaki Disease Clinic and associate director of the Kawasaki Disease Research Center at University of California, San Diego. After reviewing photos of Dylan’s rash, eyes and tongue, and a lengthy telephone discussion, Dr. Tremoulet asked the family to return to Rady Children’s where Dylan was admitted and numerous tests confirmed Kawasaki disease. The most common cause of acquired heart disease in children, Kawasaki disease causes inflammation of the coronary arteries. Left untreated, the disease causes aneurysms in 25 percent of children, which can lead to heart complications and heart attacks. On the surface, many illnesses with rash and fever can resemble Kawasaki disease, making it difficult to diagnose. There is no specific diagnostic test for Kawasaki disease. “It’s a self-limited disease, so eventually children who are not treated will get better, but the heart complications that can occur can be dangerous,” said Jane C. Burns, M.D., director of the Kawasaki Disease Clinic at Rady Children’s and director of the Kawasaki Disease Research Center at UC San Diego. The incidence rate for Kawasaki disease is five times higher than that of tuberculosis in children in San Diego County, yet not many people have heard of it. Approximately 100 children in San Diego are diagnosed with Kawasaki disease each year, and more than 90 of them are treated at Rady Children’s. The Clinic is currently following the health status of 1,300 children in San Diego who have had the disease. Dylan was treated with aspirin and intravenous immunoglobulin (IVIG) and two days after beginning treatment, he finally began to improve. The following day, he was able to go home. Dylan will require follow-up care to monitor his heart, but for now, his family and his championship baseball team are happy that despite a scary and difficult to diagnose disease, Dylan is back on the field.